Three hundred years of experience are an assurance of the quality of the cigar from the Canary Islands and its undisputable position amongst the best of the world. This recognition is the result of the combination of factors like raw materials, the talent of those who know how to compose a harmonious blend and the knowledge acquired and passed on by cigar artisans. The Canaries mastered the harvest of tobacco and hand pressing its leafs in Cuba, when a mass migration to the Caribbean island took place in the 19th century to cover the need for manpower in the sector. Tobacco fields and factories started to flourish in the islands with the return of the emigres in 1898, after Spain lost its last colonies. With them, the first brands appeared, generating a great industrial and employment activity in La Palma, Tenerife and Gran Canaria, creating between 6,000 and 10,000 jobs. These factories strongly developed in the landscape of La Palma, as most of the emigres which departed to Cuba came from the island. The Indians –this is how they were called– bought the estates of the landowners who went bankrupt due to the cochineal crisis in the 1870’s to plant tobacco and put into practice the knowledge acquired the other side of the Atlantic. Tobacco is planted in the fertile lands of Breña Alta, Breña Baja, Santa Cruz de La Palma, Mazo, El Paso and Los Llanos de Aridane. To attest its appellation of origin, cigars are certified with a seal of quality. 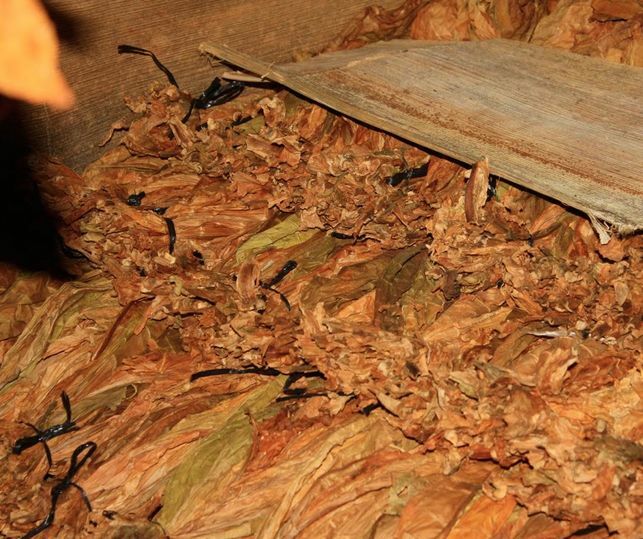 The cigars from La Palma are the result of combining the best tobaccos developed in a long and handcraft process following traditional harvest and hand pressing techniques. The Breña leaf present in the blends gives a characteristic intense aroma and a floral flavour with touches of rosemary, berries and nutmeg. These singularities are the result of the volcanic soil where tobacco grows in La Palma and the surrounding nature.